The use of cannabis extracts for pediatric illnesses has exploded in the past couple years. Parents of children with cancer, epilepsy, or other conditions are turning to cannabis as an often final chance at life. For many, cannabis extracts have lived up to the hype and provided incredible healing results. Iowa resident Jessica Eberhart first saw signs of trouble when her daughter Hannah got sick in mid-October 2014. She had fevers, arm pain, and mobility issues. From October to December, Hannah endured a number of tests with no conclusive answers as to what was causing her symptoms. In the meantime, doctors wanted to treat her with potentially harmful medications despite not knowing the diagnosis. It was a terrible situation, made worse when Hannah was formally diagnosed with anaplastic large cell lymphoma on December 31, 2014. Jessica took action at an astounding speed. 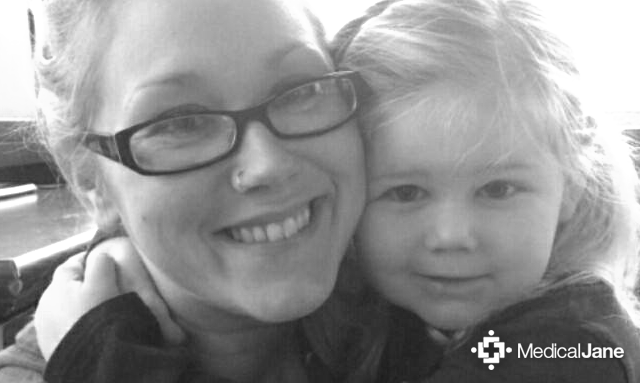 She knew her daughter had little chance of surviving the 52 weeks of proposed chemotherapy. Desperate to find a solution, she researched alternative treatments all day and night. Jessica found the story of Rick Simpson when searching online, which introduced her to the idea of using cannabis as a direct, natural treatment for cancer. Further research confirmed the viability of this alternative healing modality. On January 4, 2015, Hannah’s cancer was determined to be Stage IV, having metastasized to her bone marrow, spine, parts of her skull, and other places. There was also a very large tumor in her stomach, which was thought to be the original source of the cancer. She was on morphine drip for pain and had to take routine Tylenol and Motrin for her fever. In the days leading up to her daughter’s diagnosis, Jessica had started looking for places to take Hannah for cannabis treatment, including Israel, Canada, Alaska, and Seattle. She ultimately settled on Denver and left on a medical jet from Iowa for Colorado on January 5th. Upon arriving in Denver, Jessica began working on Hannah’s treatment plan with her doctor. Both Jessica and the oncologist looked for ways to entirely avoid chemotherapy, but laws prevented this possibility. However, a new chemotherapy protocol that was only 16 weeks instead of 52 weeks was chosen. This protocol consisted of six 21-day cycles, with each cycle starting with 5 days of chemotherapy, then 16 days off. Hannah was in the hospital for most of her first round of chemotherapy, and was unable to use cannabis oil. She was given the oil on the day she got out of the hospital, which immediately yielded benefits. Her hair stopped falling out, she began eating better, and had much less nausea. 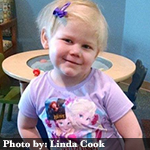 By Monday, February 23, 2015, Hannah was pronounced in remission. Doctors had expected quick improvement, but the complete absence of cancer, especially the original tumor in the stomach, was extraordinary. Moreover, all Hannah’s nurses and her four oncologists were very impressed, as she barely needed any pharmaceutical medicines. Hannah is currently in the middle of the third chemotherapy cycle, so she is about halfway done. She will continue to use cannabis medicine to mitigate the side effects of chemotherapy. Throughout her treatment, Hannah used cannabis extracts from various caregivers. The first medicine was a hastily-acquired 1:1 THC:CBD full extract cannabis oil product from Stephen Carmen, the proprietor of Sutter Butte Wellness. Carmen’s work with epilepsy has previously been featured on Yahoo News. According to Carmen, the oil Hannah initially used contained 13-14% THC and 11-12% CBD, which was enough to induce a positive response. Not surprisingly, she liked it a lot better than other pharmaceuticals. She takes .5mL twice a day on non- chemo days, and .75mL twice a day on chemo days. While cannabis extracts are extremely powerful, good nutrition is critical to support the endocannabinoid system. Since treatment began, Jessica has provided an organic, non-GMO diet for Hannah, which doubtless contributed to the rapid, favorable results. It is very hopeful she will safely finish up her chemotherapy cycles and return quickly to normal life.